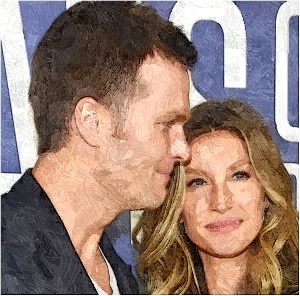 Gisele Bundchen and Tom Brady celebrate after winning 2017 Super Bowl. The “Victoria Secrets” model goes to the game with her two children when the New England Patriots players win Super Bowl Ll. Her husband also accepts the Vince Lombardi trophy for his team. Then, Gisele kisses her husband Tom.